Last week, a young man by the name of Lesandro "Junior" Guzman Feliz was brutally murdered by a Dominican gang. Many people recorded it, and almost no one did anything about it. He was an innocent 15-year-old and no one even attempted to help him when he was attacked. Had someone called 911, he might still be alive today. Junior attempted to run into a bodega two times for assistance. The store owners turned him away each time, even though he was bleeding profusely from the neck and was looking for help. We have been told that the bodega owner called for help, but one of the customers that was in the store was the one who told Junior to leave. The girl who recorded the attack from above the store did NOTHING. She could have called for help before the attack started. Instead, she chose to record. Everyone wants #JusticeForJunior. We are TIRED of people being attacked and murdered on camera yet no one seems to do anything about it. We want people to be held accountable for their recording. The perpetrators have been caught, but we don't have justice for Junior and his family. This is someone who aspired to be a police officer. He is someone's son, brother, friend and loved one. We need to hold the recorders responsible as well. Lesandro's Law will bring criminal charges against bystanders who don't make an attempt to call 911 or help when they see someone's life being threatened. We have had too many situations in which a person could have been helped, but people would rather record. IT STARTS WITH US. 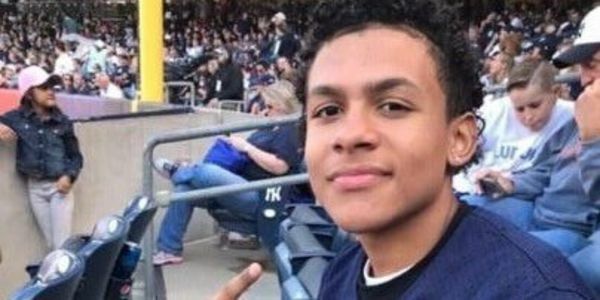 Please sign this petition so we can get #JusticeforJunior. The petition will be sent to government officials so we can really make a change. Thank you, and be blessed. Stay safe. Thank you to everyone who has been signing and sharing this petition. It helps more than you know. We have reached 15k signatures. Our goal is 100k so we can really make a difference and show that we care. Blessings and love to all of you! Thank you to everyone signing this petition. We have almost hit 500 signatures within a day. I appreciate it, NYC appreciates it and i'm sure Lesandro's family will appreciate it. I will do whatever I can to get this petition into the right hands. Thank you!!!! !